I am delighted to be able to interview my friend Dr. Stephen Bramer. 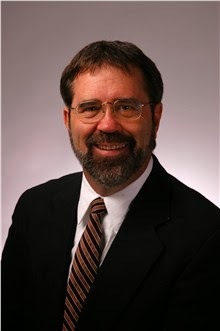 He chairs the Bible Exposition Department at Dallas Theological Seminary. Dr. Bramer is also a teaching pastor at Waterbrook Bible Fellowship in Wylie, Texas and speaks and travels extensively both nationally and internationally. He recently published The Bible Reader’s Joke Book and graciously agreed to answer a few questions about this latest project. 1. You have been working on this project for some time. Can you tell us how you got started? When I first began to teach in Bible College in the early ‘80’s I began to write some jokes in the margins of my lecture notes. When I used them in my classes I found it helped develop a rapport with the students so I continued to use them and add to them year after year. When I got my first computer in the early ‘90’s I began to collect all my jokes in a document. Finally, after a couple of decades, I have now published the collection so that others in ministry can have access to them. 2. There are number of books containing jokes that have been published and an internet sites that also are a source of jokes. What makes your book different and how is it potentially more helpful? All joke books and internet humor sites that I have seen have collected jokes topically. 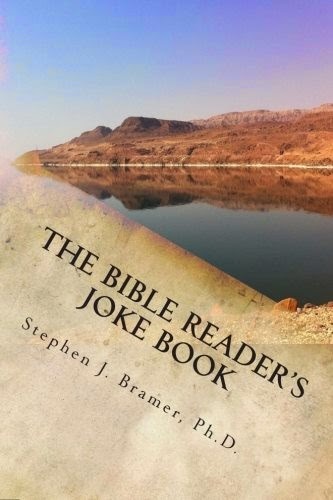 The Bible Reader’s Joke Book is unique in that the jokes a categorized according to the 66 biblical books. So if you are leading a Bible study in 1 Timothy all you need to do is turn in this joke book to the section on 2 Timothy and there are pages of jokes related to the material of this biblical book. This saves time which is in short supply I find in the ministry. I have found my jokes in many different sources but the difference is that they are now attached to a specific passage or verse. I have included a fairly extensive topical index at the back so if the joke say on marriage in Gen 2:24 is not one you want to use the user can consult the index to find other jokes on marriage such as those in Song of Solomon. This resource is available in both paperback and kindle which allows the user to choose the best format for their personal use. 3. Effective speakers understand the potential value of humor but do you see humor in the Bible itself? The Bible itself is dealing with serious issues including our salvation. Many times the author is dealing with disobedient followers or false teachers/prophets. This doesn’t lend itself to humor! In fact you wouldn’t expect a great deal of humor is a theology or discipleship manual either. In addition, much of the content is condensed from how it might have originally been delivered orally so there are few illustrations etc. However, when the donkey speaks or Jesus uses the humorous illustration of the camel trying to go through the eye of a needle it shows me that humor is not unbiblical and can be used with profit. In the process of now transferring the biblical material to a modern audience and having maybe a half hour to orally present, what might only take 5 minutes to read, gives the speaker today the opportunity to include humor. 4. While using humor is helpful, are there kinds of humor and certain occasions when you don’t think it is appropriate. In my introductory pages I have a page titled “Read this First, before you Use this Tool!” Anyone who purchases a tool finds such a page in the owner’s manual since any tool can be misused. The audience, the subject matter, the occasion, all can indicate that humor may not be appropriate. If the speaker’s goal is to communicate then the communicator must be careful not to say anything that would hinder this. And yet, in certain situations, with a particular audience on a specific topic, humor is of tremendous help in communication. 5. What advice would you give to young preachers and teachers on how to best use this book? I would encourage young (and older!) preachers and teachers to use this resource like many of their other resources. Have it on your desk and consult it when you are preparing a message. In keeping with your personality, your need and the availability of a joke use it as appropriate. You can purchase The Bible Reader’s Joke Book in print or Kindle versions using this Amazon link.